Dropbox is one of our favorite tools for backing up files and collaborating with partners. Now with a brand new add-on, you can post your Dropbox images directly to your Format portfolio. Simply choose the Dropbox icon when you click “Add Images” from your dashboard and upload in a flash. If you don’t have a Dropbox account yet, click the link below to register for 2GB of free space. 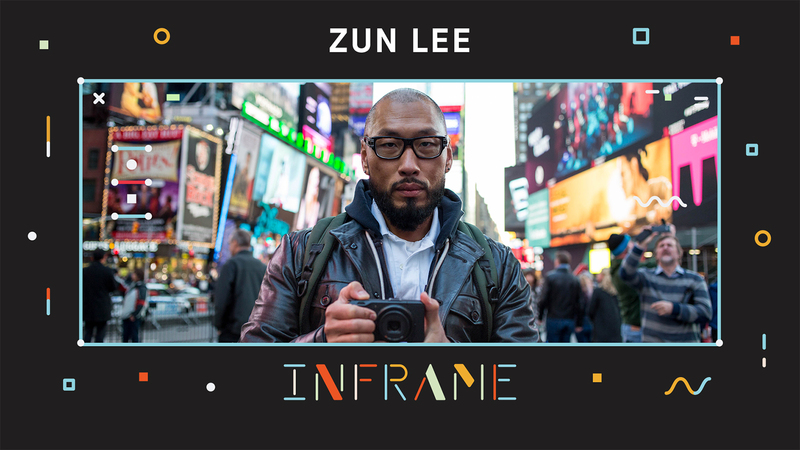 In this episode of InFrame, filmmaker Bas Berkhout explores the streets of NYC from Zun Lee’s perspective. Watch Lee speak about his difficult childhood, his journey from physician to photographer, and search for his biological father. It’s an emotional story of the people who inspire us, and betray us. What are your goals for the new year? If you want to get more clients, become internet famous and boost your creativity, it all begins with your portfolio. That’s why we wrote a guide full of essential tips and tricks. The best part? It’s free to download on Format Magazine. Our latest InFrame video documentary goes behind the scenes with fashion photographer Solmaz Saberi. Watch her incredible journey from hair styling to fashion photography—plus, all the celebrities (Amber Rose, Miguel, Paris Hilton) along the way. Format Magazine officially launched and it’s chock-full of intimate artist interviews, lively discussions and never-seen-before work. Do you have new work? Send a brief description and 5 high res .jpg files (at least 1250 x 850) to magazine@format.com. All submissions will be reviewed and we’ll contact selected entrants.